Secret Sanctum of Captain Video: Captain's Library MAN FROM U.N.C.L.E. "Human Bottle Affair"
Captain's Library MAN FROM U.N.C.L.E. 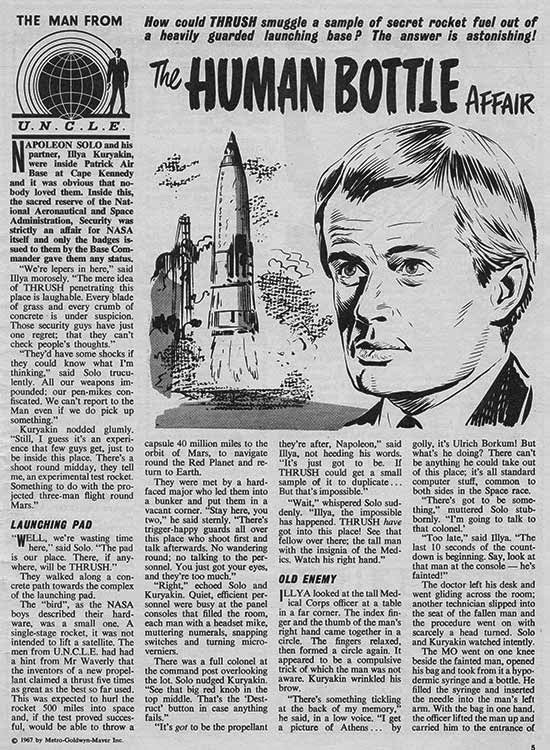 "Human Bottle Affair"
...from the British weekly TV Tornado., which ran strips and stories based on other British and American tv series, as well as a couple of features not based on video shows! TV Tornado ran U.N.C.L.E. text stories like this, but no strips, like The Saint feature we ran last week. 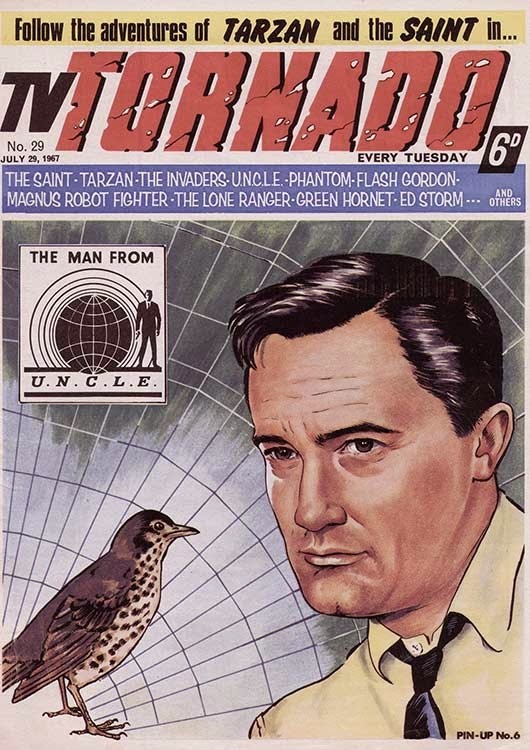 However, in the hardcover annuals that TV Tornado (like other weekly magazines produced), there were U.N.C.L.E. strips...and they were in color (or colour, as the British spell it)! 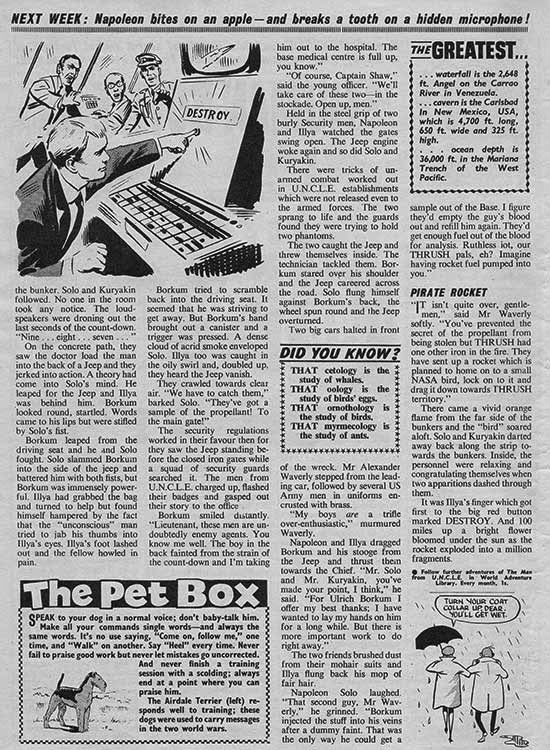 Great look back into the past with this blog post, sure wish that we had magazines like this too right now, but for video-games and other media-imagine a comic book with stories about Lara Croft (Tomb Raider) Drake (Uncharted) Agents Of SHIELD, Person Of Interest, and all of the other fantasy shows we have on now.